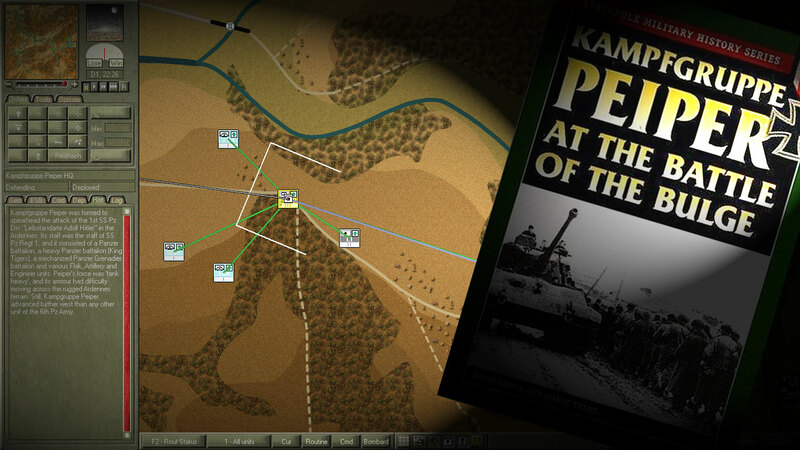 Real and Simulated Wars: Game vs Book - How "Historical" War Gaming Can Be? Game vs Book - How "Historical" War Gaming Can Be? A few years back when I had the time to play by e-mail, one of my regular opponents almost completely dismissed a title of a well-known, thoroughly researched series of World War II games because the order of battle was "way off". I'm not talking a whole brigade missing, just the number of tanks in a couple of regiments in an scenario that spans a whole Soviet Front. Yeah, I can't blame the guy for not knowing his military history ... Eventually I talked him back into the game, but his passion for historic authenticity was hard not to notice. The flow of any real battle seems to be dependent on many uncontrollable variables interacting in a capricious way. There is some sort of a "butterfly effect" in the way real battles unfold. In a parallel universe, where the telephone cable of the 5th Company, 2nd Battalion, 1st Regiment of the Chasseurs Ardennais didn't break during the morning of 10th May 1940, would the 1st Panzer Division bet stopped cold on its tracks? Would the invasion of France fail in this parallel universe? Teasers for the mind but fear not, I have no intention of getting into academics or esoterism! This entry is just to introduce a series about historical war gaming. The premise is simple: grab a book where the level of tactical/operational detail is good enough to get a real life plan, apply it into a war game, and see how it goes from there. Outcomes, deviations from the real life battle, challenges that are not obvious or mentioned in the book ... How historical the war game gets and remains during gameplay? Many of you do this all the time and in that case I wish you can get and supply suggestions about good books to enhance your "historical war gaming". So, stay tuned for the first entry of the series. Hint provided below. Don't forget naval battles! Steam and Iron is great for those WW1 battles like Coronel and Falklands. Very interesting, I'll probably try it with the Aegean and the Crete: The Battle and the Resistance, if it's deep enough.